You'll never forget the excitement of hooking up your first fish in the Florida Keys. Experience the thrill of backcountry fishing with the friendliest guide in the Keys, Mike Patterson with 21 years experience. Find out for yourself why Islamorada is called the "Sportfishing Capital of the World"! Backcountry fishing trips are a great way to enjoy the beauty of the Florida Keys. Take a half day, 3/4 day or a full day of fishing; our prices are based on 1 or 2 anglers in the boat. We provide top quality tackle or bring your own. No fishing license is needed when fishing with a professional guide. Families, beginners and advanced anglers are welcome - instruction is available. 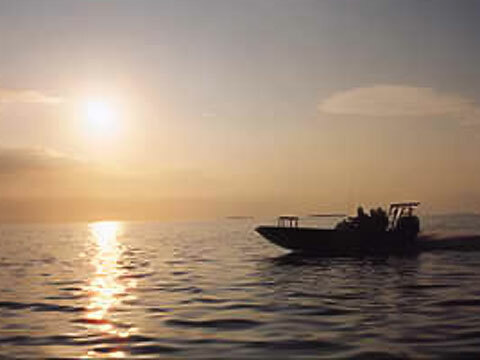 Backcountry fishing trips are a great way to enjoy the beauty of the Florida Keys. Take a half day, 3/4 day or a full day of fishing; our prices are based on 1 or 2 anglers in the boat. We provide top quality tackle or bring your own. No fishing license is needed when fishing with a professional guide. Families, beginners and advanced anglers are welcome - instruction is available. A guided tour of Florida Bay's back country will be an adventure of a lifetime. You'll go places few people will ever dream to see. This subtropical wonderland offers wildlife at every turn: beautiful birds, stunning hammocks and even an occasional alligator. If you wanted to go somewhere quiet and peaceful the Everglades back country features over 150 species of reptiles and amphibians. It's a thrilling one hour ride from Islamorada to Flamingo Park in the heart of the Everglades, through the pristine waters of Florida Bay. You'll marvel at the tiny islands of Rabbit Key, Black Betsy Key and Pass Key. There you'll see rare species like: the white heron, bald eagle, crocodiles, Florida sand hill cranes peregrine falcons and short-tailed hawks, just to mention a few. The real reward is just being there - don't miss the opportunity to see what the real Florida looks like from a local expert's eye view, with over 18 years in the backcountry. You won't want to forget your camera for this trip.